Two of the most commonly used types of elevators are pneumatic and cable-driven. They operate using different principles and have different sizes and weight capacities. A pneumatic, or vacuum, elevator uses changes in air pressure to move the cab. A vacuum seal is built into the top of the tube. Turbines at the top turn to draw air out of the tube, which pulls the cab upward. When the cab reaches the desired floor, steel brakes hold the elevator in place at the landing. If a passenger wants to go down, the turbines turn on briefly to raise the cab off the brakes and then turn off to allow the cab to descend. The steel brakes stop it at the desired level. Vision Elevators offers three pneumatic models. The Vision 350 has a 30-inch diameter and can transport up to 350 pounds, while the Vision 450 measures 37 inches in diameter and can carry up to 450 pounds. Neither is large enough for a wheelchair. The Vision 550 is 52 inches in diameter, large enough for a wheelchair, and can transport up to 525 pounds. All of these elevators can travel up to four stops, are designed exclusively for residential use, and do not require a pit or machine room. A cable-driven elevator uses a motor and drum unit at the top of the elevator shaft and two cables attached to the drums to move the cab. The drums wind up the cable to raise the cab and spool it out to lower the cab. The motor that turns the drums is controlled by a variable-frequency drive that can control the elevator's speed smoothly. 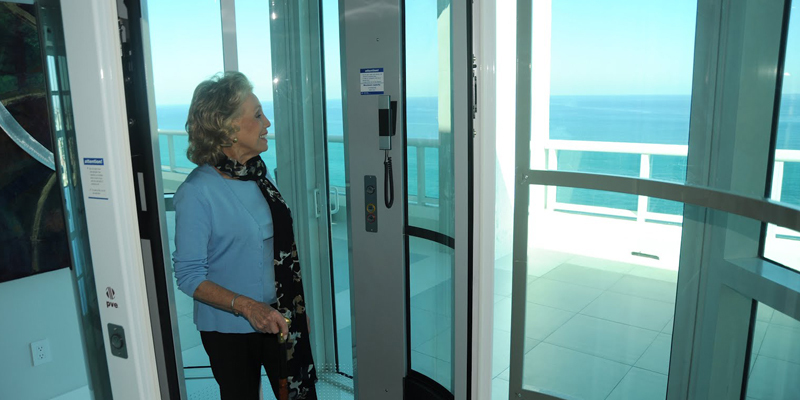 Vision Elevators offers two cable-driven elevator models. The Visi-48 has an octagonal shape and measures 48 inches across at its widest point. It can safely transport up to 744 pounds. 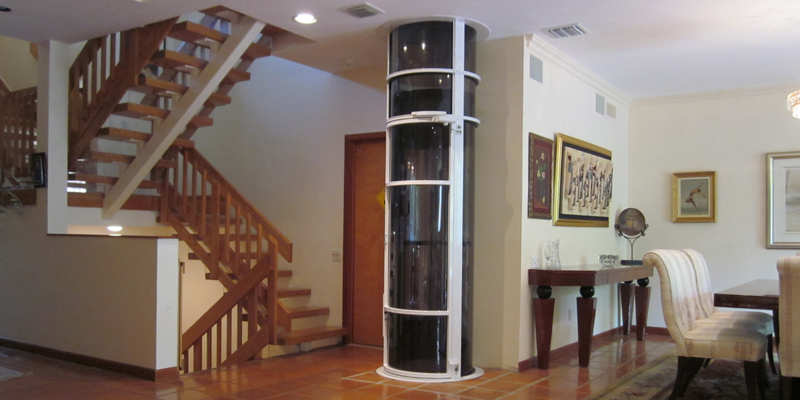 The Visi-58 is round and measures 58 inches in diameter. It can lift up to 830 pounds. Both of these models are wheelchair accessible. They can travel up to five stops in a residence and two stops in a commercial building. They do not require a pit or machine room. 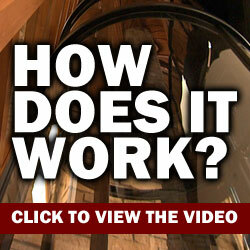 An elevator could be the solution you need to improve mobility in your home or business. Vision Elevators can help you choose the pneumatic or cable-driven model to match your needs.